Janet Alexander Adams was born on 2 June 1846 in Dalkeith, Midlothian, Scotland, at Thorney Bank. She was named for Mrs. Alexander who had raised her mother after the death of her own mother. William Adam and Alison Dickson appeared in the British census of 30 March 1851 in St. Cuthberts, Midlothian, Scotland, at Robertsons Land, Trafalgar Lane. Other members of the household included Janet Alexander Adams, Helen Robertson Adams and Jane Adams. William Adam and Alison Dickson, accompanied by Janet Alexander Adams, Helen Robertson Adams, Jane Adams and William Adams, departed on 17 March 1853 from Birkenhead aboard the Wishart steamer John Fielden, arriving in Moreton Bay on 11 June. After leaving the ship, they traveled aboard a cutter called the Sarah Ann, up the Brisbane River to an old wharf called Hobbs near Petrie's Bight. She married Isaiah Titmarsh, son of John Titmarsh and Eunice Lenton Simpson, on 2 October 1863 in Ipswitch, Queensland, Australia. Janet Alexander Adams became a widow at the 10 August 1880 death of her husband Isaiah Titmarsh. The event of the week in Brisbane on 18th June, 1853, had been the arrival of the John Fielden. This vessel was of 916 tons register, arrived in Moreton Bay on 11th June after a run of ninety days from Liverpool, and had on board Dr. M. E. B. Nicholson, surgeon-superintendent, and 306 Government immigrants. Of the latter there were 73 married couples, 102 single women, 42 males from 1 to 14 years, 76 females from 1 to 14 years, and 14 infants. The "Courier," in referring to the immigrants, said :-- "The large number of single women and girls makes it highly desirable for all persons requiring female servants to apply for them forthwith, so that no excuse for cutting off our supply of immigration may again be taken," from the fact of numbers remaining in the depot. The immigrants by the John Fielden who reached the wheltered waters of the Bay on 11th June, 1853, and who remain to us yet, good citizens of the young State, will let memory go back to the days in Moreton Bay which were the experience of all shipmasters and passengers fifty years ago. The "Courier" was not slow to note that the captain of the John Fielden broke his windlass in heaving up his second anchor in the Bay, and it takes a theme, too, from a correspondent's letter of the same date to administer a sharp lecture on the necessity for an improvement in the port. It was pointed out that there was a necessity for buoying the channel; but the fact was mentioned that the buoys laid down were being lost, probably owing to quick-sands. The "Courier" advocated a lighthouse, with a lightship inside, and on board the latter a pilot with a strong crew and two lifeboats to assist ships coming in. It was pointed out that unless the port management was improved, shipowners would not send their vessels to Moreton Bay, and the probability of this was emphasised by the fact that the demand for tonnage in England was greater than the supply. THE FORTITUDE'S EXPERIENCE. The trouble with the John fielden provoked a letter from the late surgeon-superintendent of the Fortitude, who wrote on the necessity for a signal station at Moreton Bay (everything was Moreton Bay in those days), and said that "for want of a flag station on the Cape 200 souls might have perished." The doctor gave a piece of history, which is worth repeating: "About 8 a.m. we made what we took to be Point Lookout, and the ship was put in readiness to round it, when, not observing any pilot station on Amity Point, and having an ugly-looking rock in our immediate vicinity, the captain resolved to stand out to sea once more, so as to be back at noon and ascertain the exact latitude of the place." Finding his conjecture right, but no pilot appearing, the captain determined to run for the north entrance. They rounced Cape Moreton about 3 p.m., and readily found the first and second buoys, but not the third. The captain did not know the land marks, and the ship was worked up by the lead? until past Cumbyuro sic.) Point, and when the sun was nearly setting the harbourmaster, not the pilot, appeared. It may be readily understood that the "Courier" appreciated the drawbacks to the navigation of the port which these circumstances presented, and warmly advocated improvements. And how the old Fortitude's passengers must realise the changes of fifty years when they see the 10,000 tonners steaming on to Brisbane and berthing at the wharves in the heart of the city. 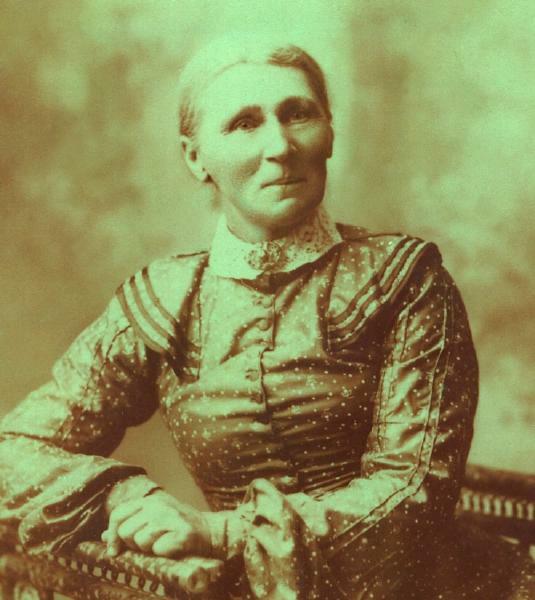 Janet Alexander Adams died on 12 August 1905 at age 59 in Munbilla, Queensland, Australia. She was interred at Harrisville Cemetery, Queensland, Australia.